Many Boston homeowners shudder at the thought of interior painting. It is considering a chore: tedious, boring and not much fun. However, by utilizing the following tips, you can decrease painting time and get to the activities that you prefer. Of course you can save the most time by calling a Boston interior painting contractor, but if you are determined to D.Y.I., then use the following to minimize time spent holding a brush. 3. Use the right materials! Certain paint brushes are made for certain kinds of paint and help ensure an even application. Oil-based paints need natural bristles; water-based or latex paints work best with synthetic bristles. For large areas, try using a foam roller. Your Boston paint store should have a wide selection of brushes to go with your paint. 4. If you want a professional look, call your Boston painting contractor. But for a nicer application of the paint, consider using a primer on your walls. This helps keep older color from “bleeding” through, especially if the new paint is lighter than the old. 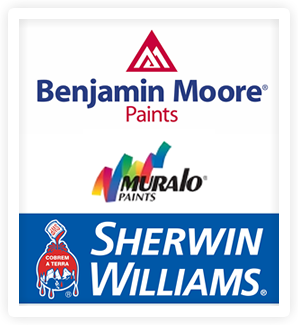 Many paints have a primer built in already, eliminating the need for this step. Again, for the best results it is wise to call a Boston painting contractor. However, by following the previous tips, even a D.Y.I. job can look pretty.